As you might expect, frequently our vacations involve visits to wineries. To help encourage our readers to join in the fun, the following is a list of wineries, by state and region that we have visited and enjoyed over the last few years. The list is by no means a complete list, but we can personally vouch for the quality of the establishments listed. In addition, we have also included a few links to helpful resources when planning a visit to wine country, wherever that may be. Enter �wine trails� into Google�s search engine, and you�ll get over a million hits. For winery information in the New England area, Oxford Wine Room (www.oxfordwineroom.com) is an excellent resource, and covers Massachusetts, Connecticut, Rhode Island, Maine, Vermont and New Hampshire. For wineries outside of New England, we use Weekend Winery (www.weekendwinery.com) and Wine Web (www.wineweb.com) as starting points when mapping out potential wine adventures. Links to specific state and region wine trails appear in the sections below. 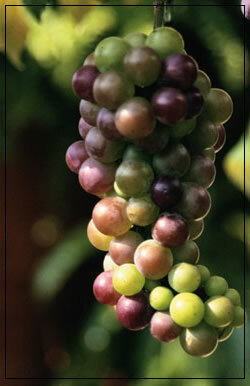 Another great resource for finding US winery information is Catch Wine (www.catchwine.com). The site contains a list of all the wineries in the United States and makes them searchable by name and geographic location. Google Maps lets you instantly see where the wineries are located and provides driving directions. Recently added is a feature called "Winery Explorer" that lets you locate wineries near any location in the US. Future plans include the addition of winery reviews and winery photo uploading. A great guide to wineries in the Eastern United States is: Wineries of the Eastern States, 3rd Edition, by Marguerite Thomas (1999, Berkshire House Publishers). Click on each link to view more information. Copyright 2003-2018 Musings on the Vine. All rights reserved.